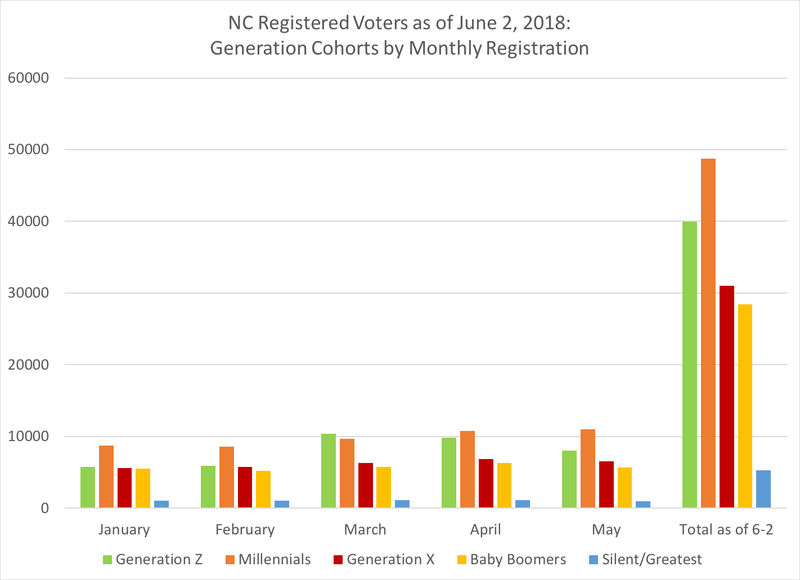 As of June 2, 2018, there was nearly 7 million registered voters in the Old North State, a one percent increase since the beginning of 2018. 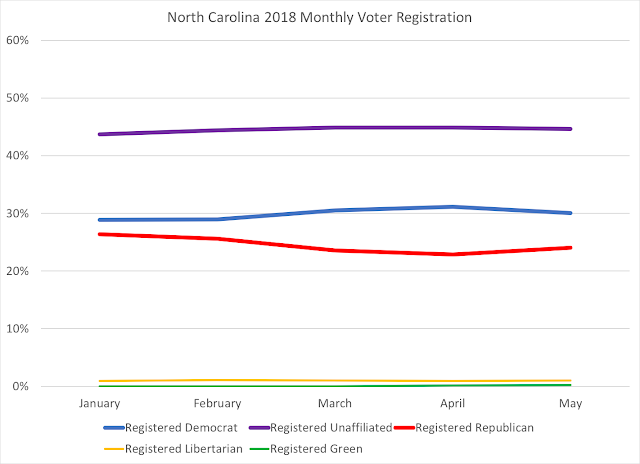 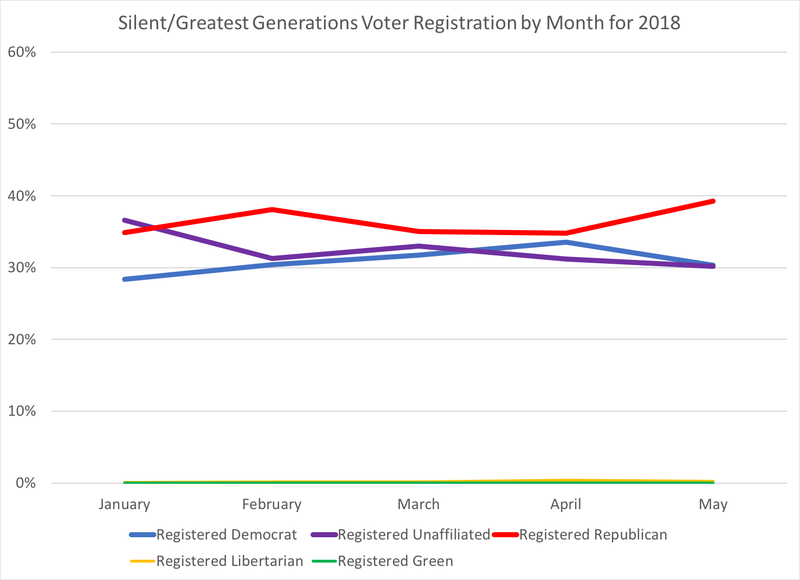 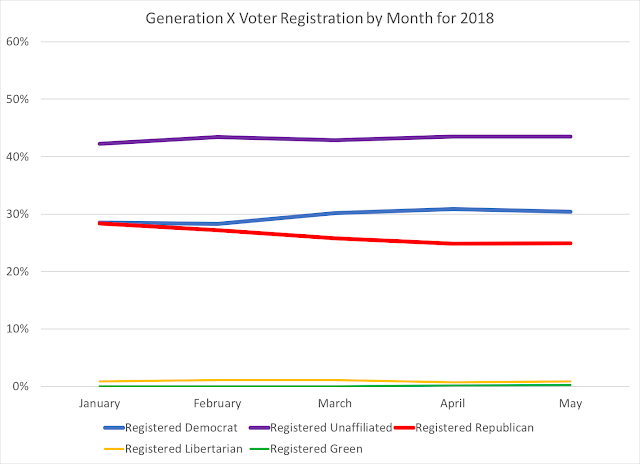 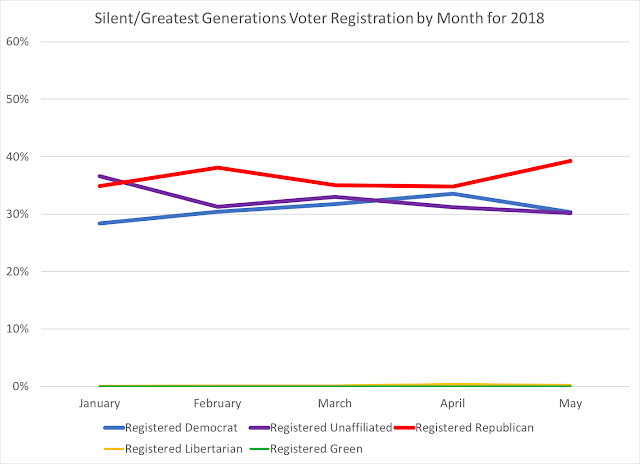 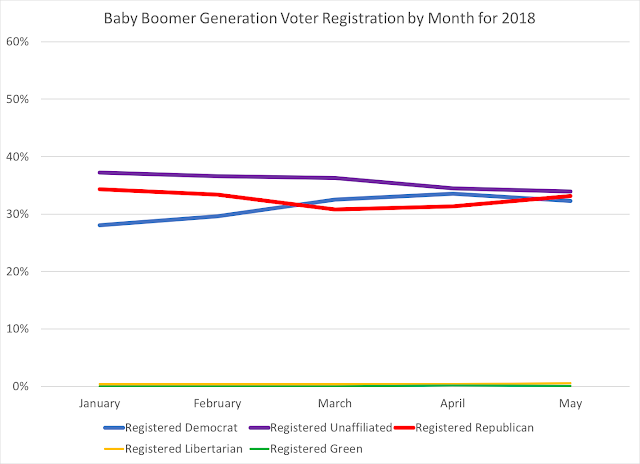 The state's party registration percentages have held steady since the middle of February, when registered unaffiliated voters claimed the second largest voter registration block (31 percent) in the state, with registered Democrats still at the top (38 percent) and registered Republicans in third place (30 percent). 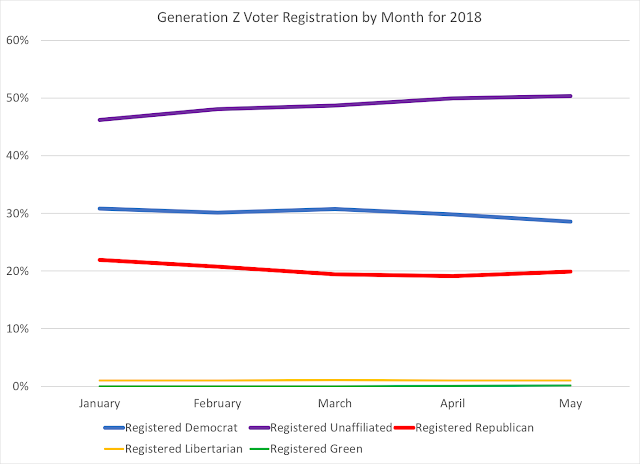 The newest addition to the party registration is the Green Party, with a little over 200 voters so far registering with the new party. 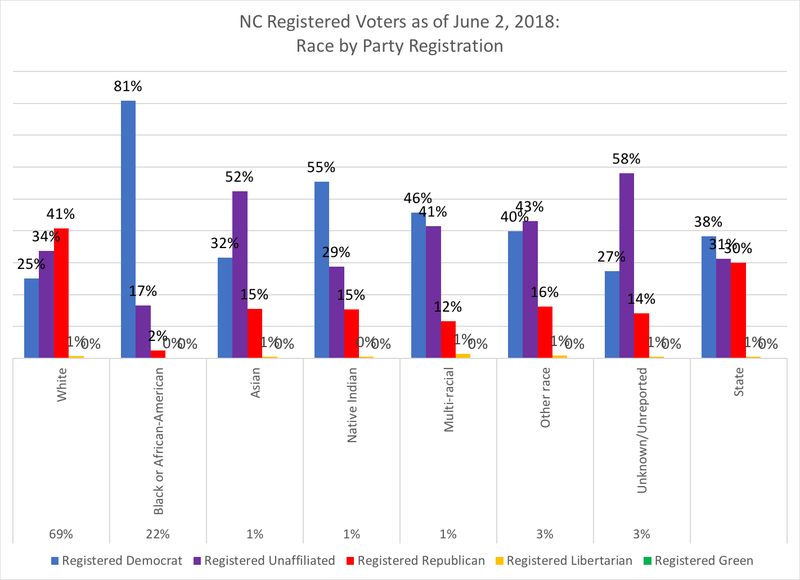 The U.S. Constitution Party will be the newest addition to the voter rolls, with their recent approval by the NC State Board of Elections and Ethics Enforcement. 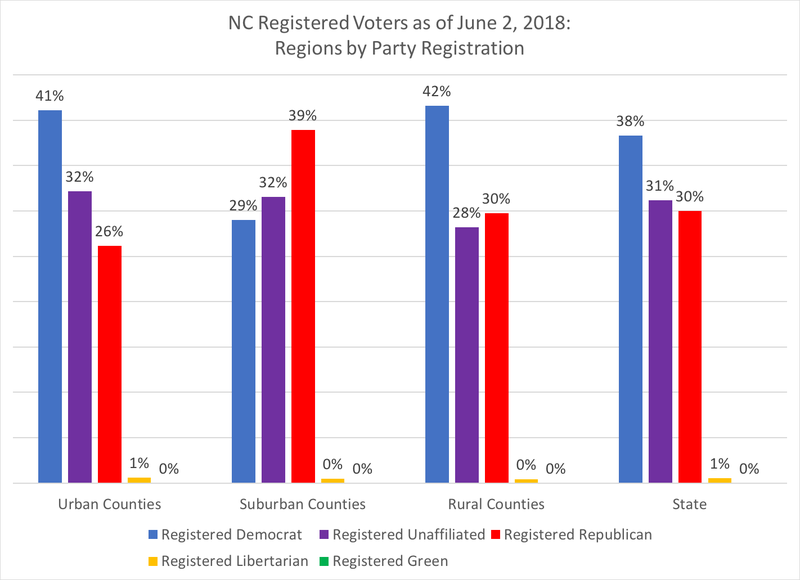 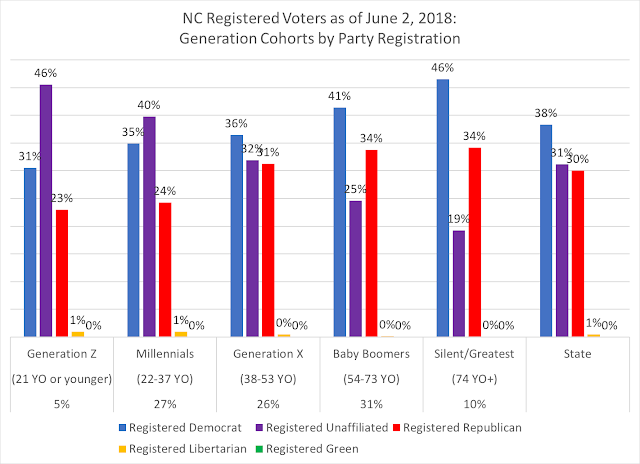 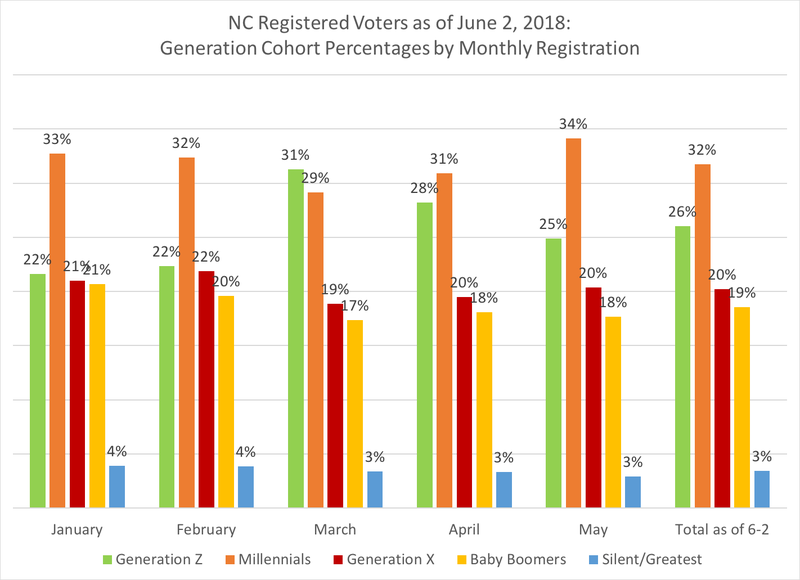 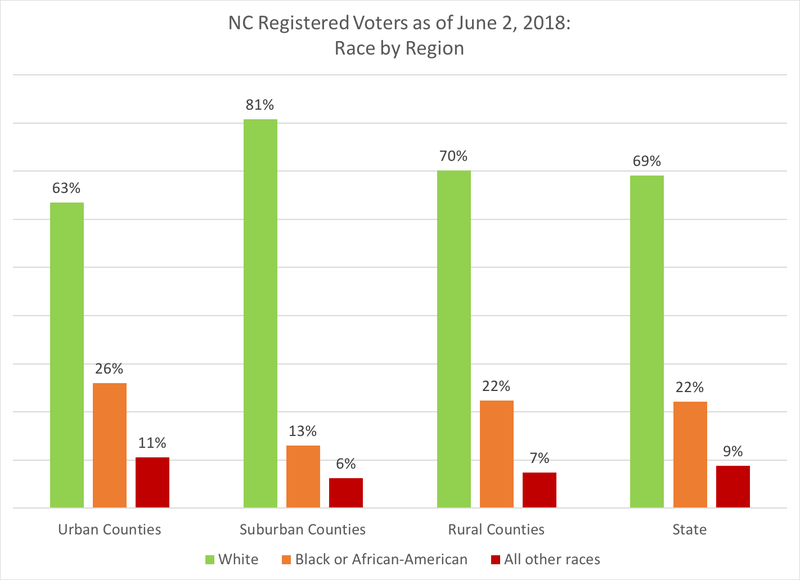 While both urban and rural voters are registered Democratic pluralities, the reason for rural county voters can be attributed to the rural black belt counties in the state, along with a generation of older white NC voters who registered Democratic, but are likely more Republican in voter behavior. 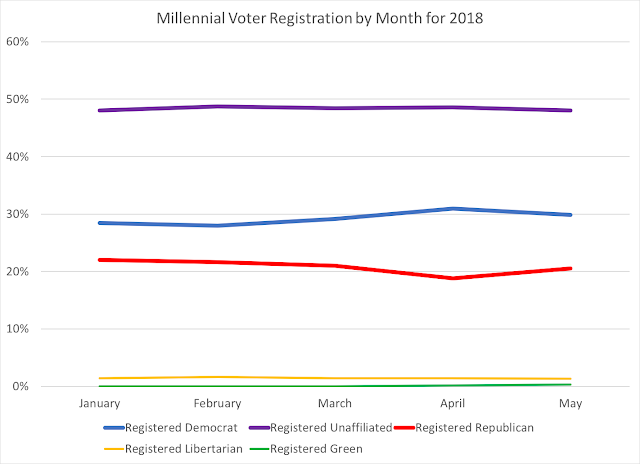 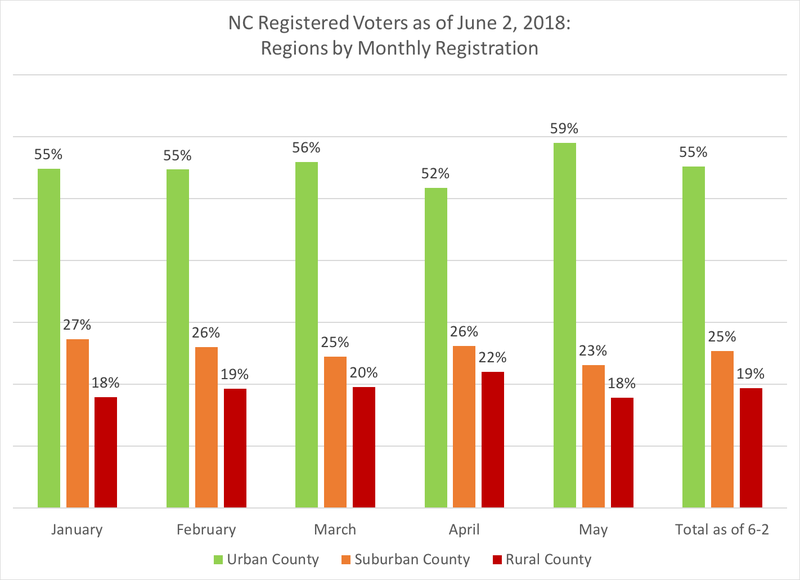 Finally, per monthly registration totals, urban counties saw a recent uptick in their percentage of May's registered voters. As we enter the dog days of summer, when most will turn their minds away from politics, the run-up to the fall campaign will be determined by who is registered and then who shows up in turnout. With the fall ballot races generally set (except for upcoming judicial races and localized races), the ground work of getting citizens to register will likely be a key focus for campaign operatives of both parties over the summer, with the heat of the fall campaign focused on both registering and then organization and "getting out the vote" activities.